Ginnie Kiesewetter, left, looked over a clock at the Willard House & Clock Museum in North Grafton on Friday. The Willard brothers, Benjamin, Simon, Ephraim, and Aaron made clocks there in North Grafton in the late 18th century, before they moved the business to Roxbury. Time marches ahead, usually. It’s in retreat this weekend in the United States. The shift means it’s lighter earlier in the morning, and darkness comes sooner in the evening. 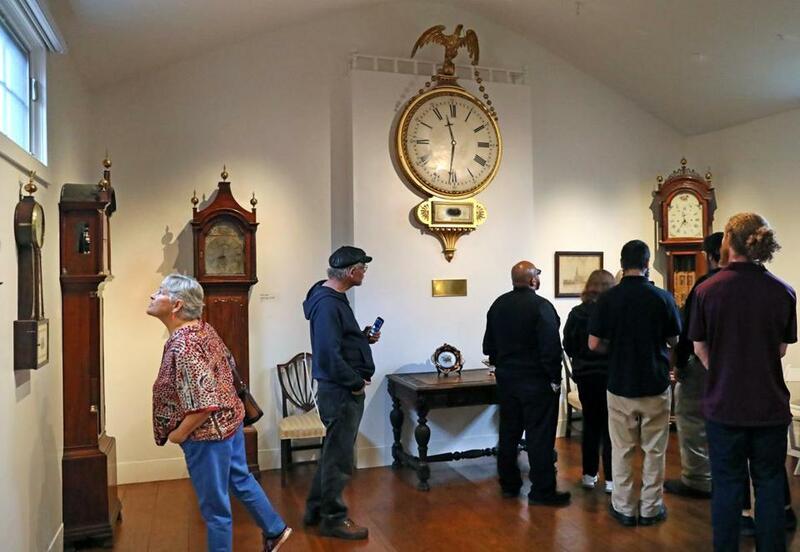 And if there is one place in New England where the clocks are sure to be set back on time, its at the Willard House & Clock Museum in North Grafton, Mass. 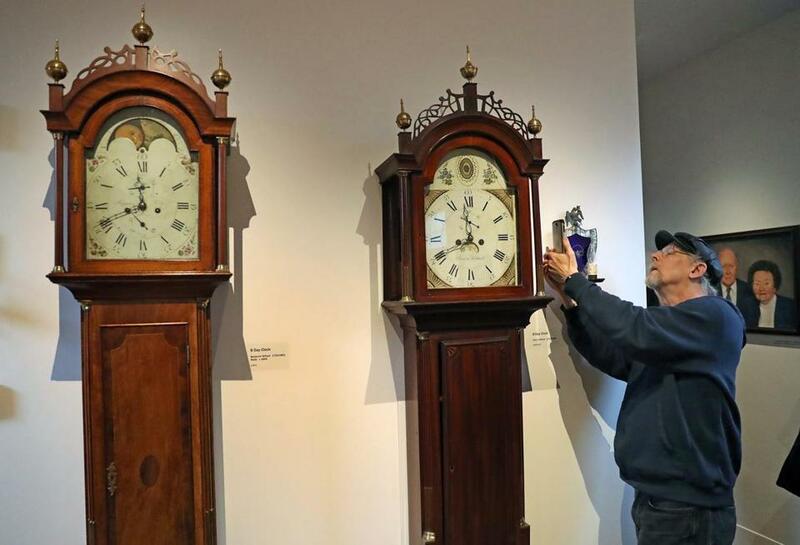 Dale Kiesewetter used his phone Friday to photgraph an eight-day grandfather clock made by Simon Willard at the Willard House & Clock Museum in North Grafton. 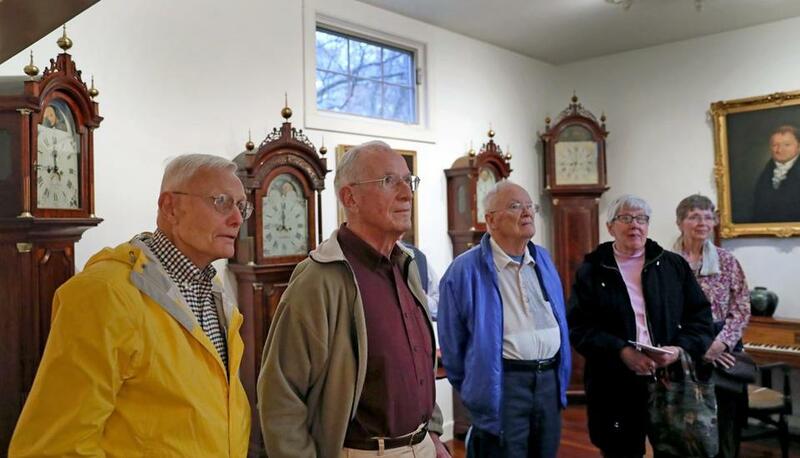 Members from The Huntington, a continuing care retirement community in Nashua, N.H. toured the Willard House & Clock Museum on Friday.